Roses are so overrated! 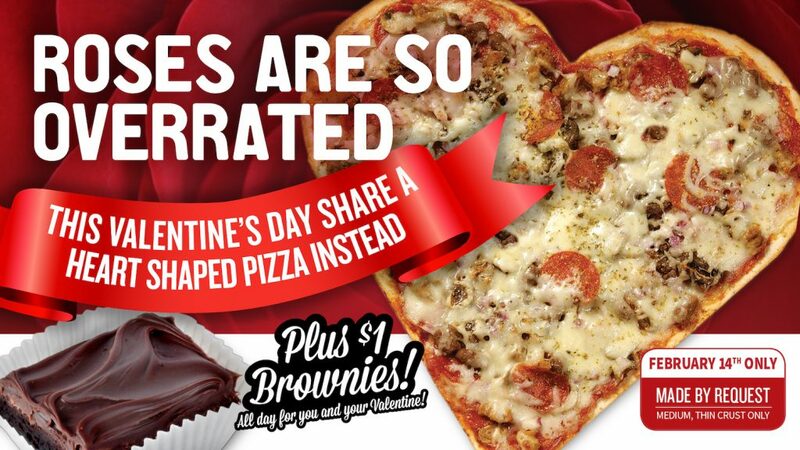 This Valentine’s Day share a Davanni’s Heart-Shaped Pizza instead! This Valentine’s Day – Thursday, February 14 we have Medium Thin Crust Heart-Shaped Pizzas available by request. Also, treat yourself (and your Valentine) with $1 Brownies all day! Heart-Shaped Pizzas will be available to order in-shop or online starting Thursday, February 14! Why not get rewarded for your purchases? Sign-up for Davanni’s Rewards today!